Celebrate 2017 with a floral design class! I am thankful for all the amazing students in 2016...take advantage and be a student in 2017. 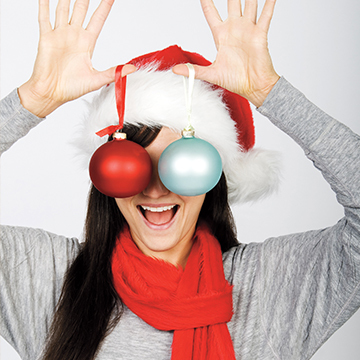 We hope your Christmas season has been a tremendous success so far, but even if it’s been record-breaking, it’s likely that you still have some merchandise that needs to be discounted and moved out before the holiday. You could start with a simple 20 percent discount and increase it as Christmas nears, but a new approach to markdowns may provide additional sales and help you more effectively clear out, so you can start 2017 with a clean slate. 1. 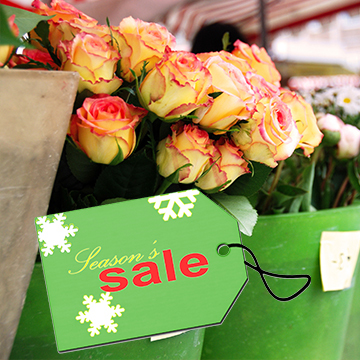 Mark down different categories of holiday inventory, like candles or ornaments, each day, and let your customers know what’s currently on sale. 3. If you prefer to stick with a basic 20 percent, it might be more effective to present your discount as $10 off for every $50 spent. The flat rate of $10 is easier for customers to visualize, and it’s easily represented in your marketing by a $10 bill. Try one of these approaches this year, and gauge your clearance sales. If you’re not satisfied with the results, make a note, so you can be reminded to try a different approach next year. During the hustle and bustle of the holiday season, it’s important to keep your cool and create a productive vibe rather than chaos and commotion. • Prioritize: Organize your tasks for each day into three categories — “must do,” “should do” and “like to do.” Save the “like to do” tasks until everything else is complete — or even until after the holidays. A list can help you keep on track and feel accomplished. • Communicate and delegate: Share your daily priorities with staff members so that everyone can work together to achieve the same objectives. 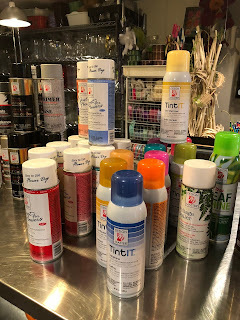 • Team up: For major decorating jobs, mass centerpiece orders and other big jobs, team up employees and allow them to work out their own production methods to meet deadlines. • Celebrate: Don’t forget to set aside time to appreciate everyone’s good work – it can be as simple as a hot chocolate break or a special potluck lunch. Make sure, even during the busy times, that you and your employees take time to recharge and keep your energy up. 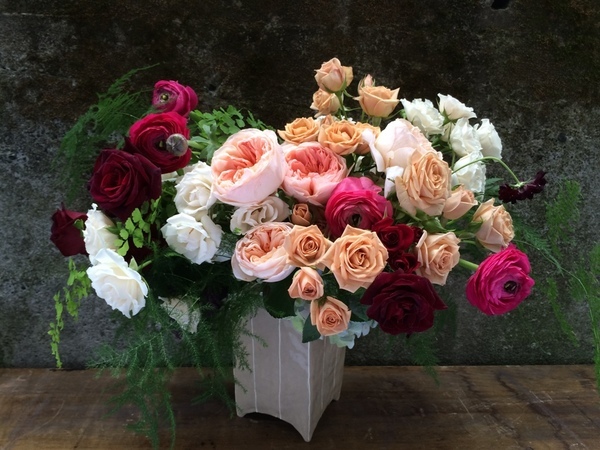 Terra Bella Flowers in Seattle created this 2016 Valentine's Day bouquet and it was picked up by AdWeek! Last CALL for your Valentine's Day Submissions! 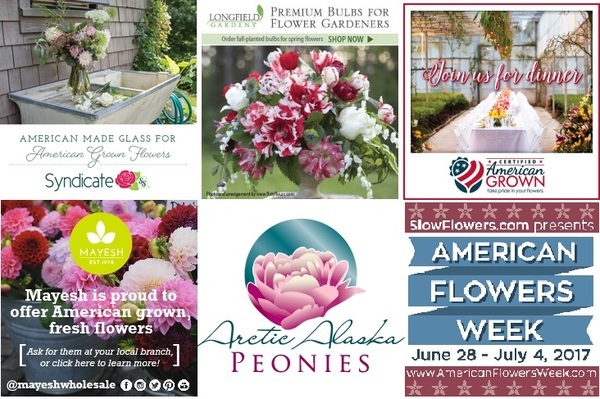 The Slow Flowers PR Campaign continues with an eye to February 14th -- with our goal of filling the news stream with local and seasonal floral design ideas for Valentine's Day! You're invited to submit images of your flowers or your design work for possible inclusion. This opportunity is available free to PREMIUM Members. If you have a Standard Membership and you would like to participate, there is a $35 fee. The "Slow Valentine's Day" editorial package will be distributed nationally to lifestyle editors and bloggers during the first week of January. Don't miss out on this excellent opportunity to get published! The images should illustrate local, domestic and seasonal botanicals suitable for Valentine's Day editorial. We're looking for ALTERNATIVES to traditional rose arrangements or FRESH ways to design with American-grown roses. Submit to debra@slowflowers.com. You are encouraged to use Dropbox or other FTP sites. 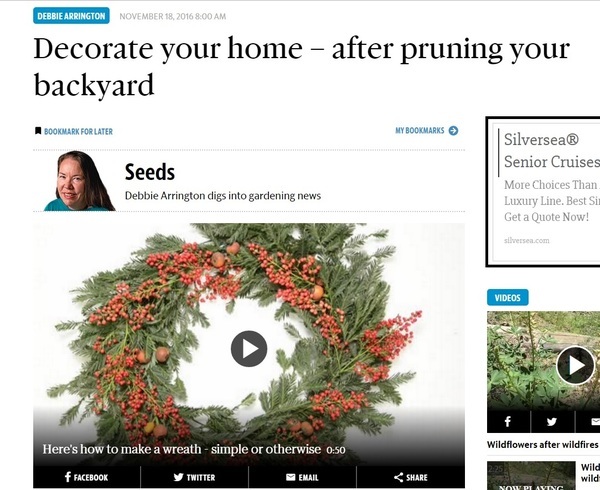 "DECORATE YOUR HOME - AFTER PRUNING YOUR BACKYARD," by Debbie Arrington for the Sacramento Bee, came out just in time for readers in need of holiday decor inspiration. Debra Prinzing likes to combine two November tasks that on the surface seem polar opposites: pruning and holiday decorating. 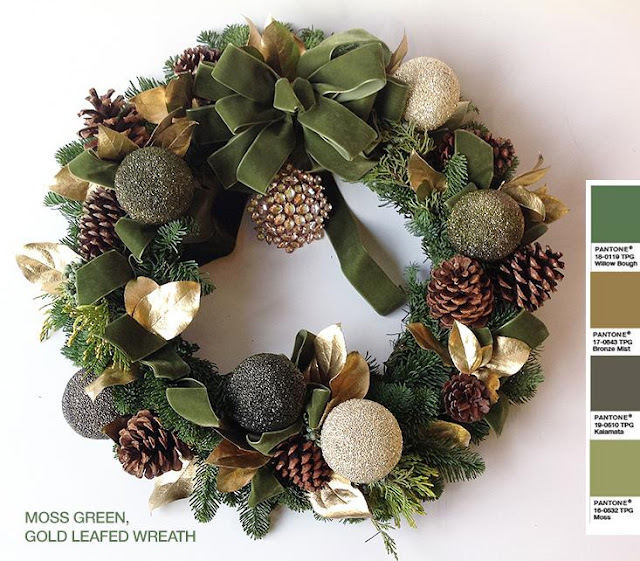 Just as “Slow Food” emphasizes locally grown food, the Slow Flowers concept urges people to think local farm to vase – or backyard to front-door wreath. "How Fresh are Those Flowers?" 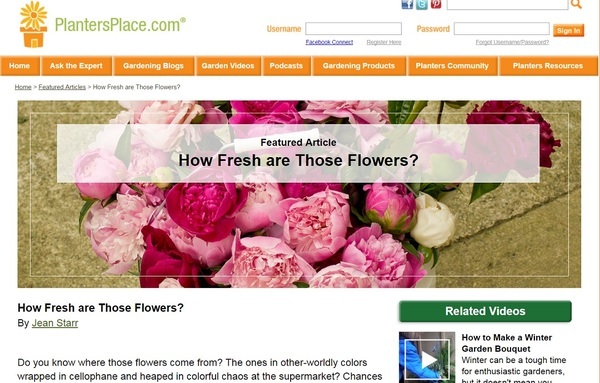 Writer, editor and gardening blogger Jean Starr interviewed Debra about the Slow Flowers' take on weddings in a column appearing in the online magazine Planters Place. She also interviewed Slow Flowers member Emily Watson, owner of Wood Violet Floral Design in Milwaukee, Wisconsin, for her tips and advice for keeping wedding flowers as local and seasonal as possible. 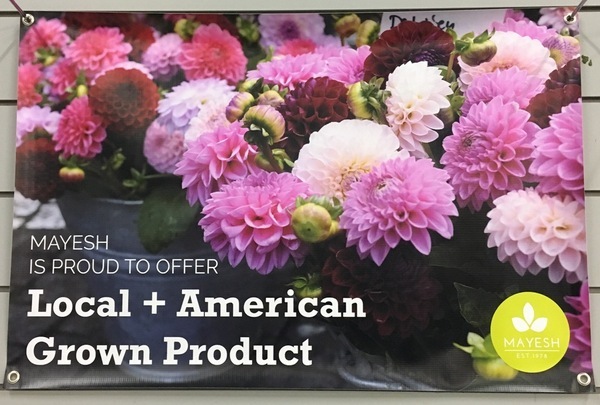 Other Slow Flowers members mentioned in the piece include Sunny Meadows Flower Farm and Buckeye Blooms, both Ohio-based, and Bliss Haven Farms, from Indiana. 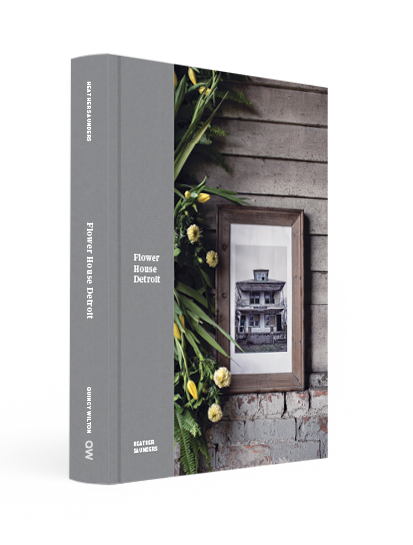 Heather Saunders, exclusive Flower House photographer, has just released her beautiful art book, "Flower House Detroit." 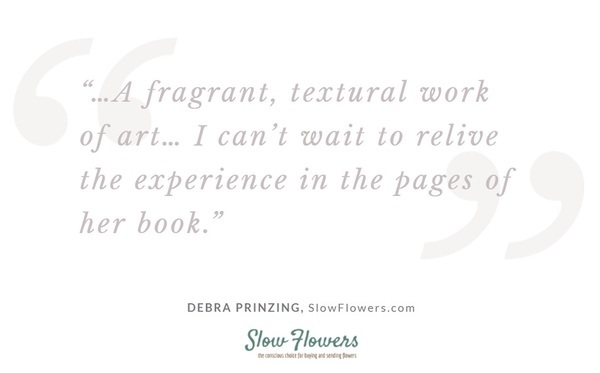 The 300-page, 9-by-12-inch book contains Heather's impressions and thoughts as seen through her lens before, during and after the amazing foral art experience called The Flower House. Heather has collected essays and hundreds of her images between the pages of the book's elegant cover. Flower House creator Lisa Waud wrote the book's highly personal foreword and Heather asked Slowflowers.com founder Debra Prinzing to take part in a Q&A about Locally Sourced Flowers that follows. It's super impressive and thoroughly inspiring to know Heather self-published this stunning volume. The book was printed by the French Paper Co., a Niles, Michigan-based printer operating with 100% green hydropower. "The inventiveness of Flower House will have a lasting impact on the floral community. We are at a crossroads in time, when the only relationship many Americans have with flowers is as a "commodity" wrapped in plastic at the checkout counter. 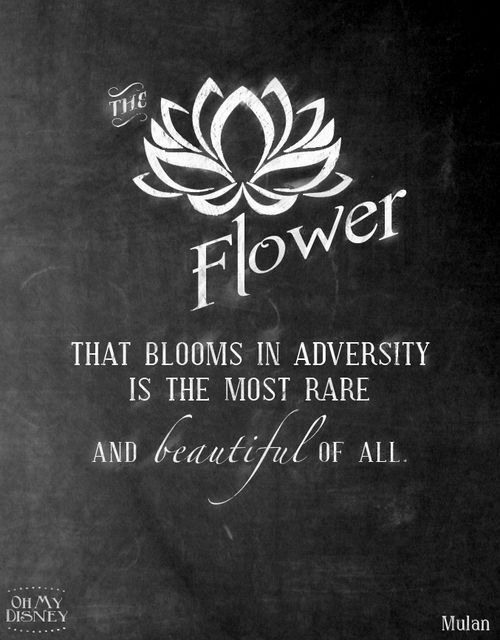 We don't know where those flowers come from; we don't know who grew them or what practices or methods were employed. "Flower House tells a completely different story: Flowers are most ephemeral and beautiful when they become a work of art in the hands of a maker, when they are grown on our own land, when we celebrate the entire lifespan of that flower - from seed to installation - and when we honor every human who had a role in bringing that flower to life." In early November, Mayesh invited customers to join them in celebrating the opening of their brand new space in the Portland Flower Market! It was a great success thanks to manager Amy Gebhardt and the support of her team, not to mention the awesome new space! Large, open and fresh, the Mayesh space has been transformed into a welcoming place for customers and the ideal spot to host a party. The event garnered about 200 guests plus a number of Mayesh employees and members of the family, including floral designer Ali Dahlson, whose blog posts appear regularly on Mayesh's web site. We kicked things off with a collaborative, hands-on demonstration. I was lucky to be partnered with Katie Davis of Ponderosa & Thyme. I created two arrangements, focusing on all-local flowers, while Katie made a textural hand-tied bouquet using a mixture of local and imported blooms. We had a blast and I loved meeting so many in the Portland floral community, including several Slowflowers.com members who attended! The seventh Field to Vase Dinner took place in early November, and I was thrilled to participate as a speaker. Hilary Holmes of Portland-based Emerald Petals,a Slowflowers.com member and past guest of the Slow Flowers Podcast, was the featured floral designer for the evening (see us together at right). 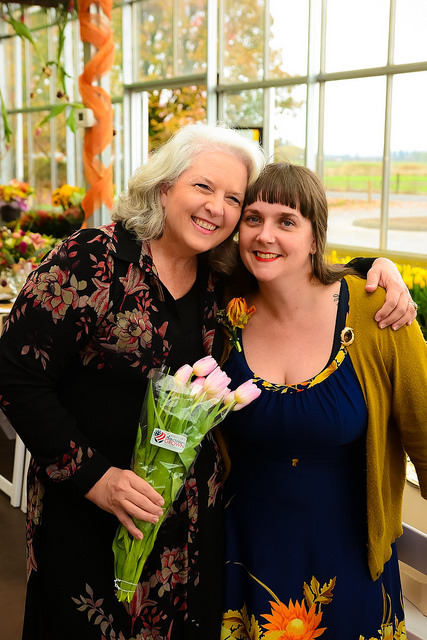 Hilary's inspiration began with the hundreds of thousands of tulips growing inside Holland America's greenhouses. Check out some of the photos here! If you look closely, you'll see charming tendrils of pale apricot nasturtium, plucked from Hilary's own garden. Guests dined on local fare, sipped local wine and beer, listened to bluegrass music from a local band and toured the operations with flower farmer and CEO Benno Dobbe. Holland America's in-house florist Stacey Lane, also a Slowflowers.com member, adorned the greenhouse entrance and dining area with a bounty of just-harvested blooms. Guests left the evening with gorgeous pink and yellow tulips, courtesy of Holland America Flowers, and the popular Field to Vase swag bag was full of goodies every floral enthusiast could appreciate. The Field to Vase Dinner Tour continues for 2017 and dates for each host flower farm will be announced soon! We know for sure that Slowflowers.com member Beth Van Sandt of Scenic Place Peonies in Homer, Alaska, will host a dinner on July 29, 2017! I can't wait to see you there! We headed to the 2016 conference that drew hundreds of veteran flower farmers and newbies eager to soak up the knowledge of this wonderful community. Formed in 1988, ASCFG was created to educate, unite, and support commercial cut flower growers. Its mission is to help growers produce high-quality floral material, and to foster and promote the local availability of that product. Learn more at ascfg.org. Check out the wide range of guests we've heard from this month. And please celebrate with me! During November, episodes of the Slow Flowers Podcast were downloaded more than 6,500 times! Greenery, a refreshing and revitalizing shade. View email in web browser. please add pantone@web.pantone.com to your address book. This is an outbound E-mail only. We will be unable to respond to your reply. ® Pantone, 2016. All rights reserved. PANTONE® Colors displayed may not match PANTONE Color Standards. PANTONE® and other Pantone trademarks are the property of Pantone. Pantone is a wholly owned subsidiary of X-Rite, Incorporated. Color Marketing Group gives offers a hue of hope, "Generosity." With energy and spirit, it's a hue to transition to the new year. 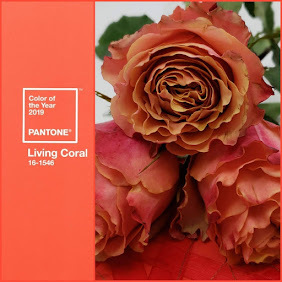 Generosity, a red with a slight influence of blue, revealed during discussions at Color Marketing Group's European meetings in 2014, to emerge in 2016, has advanced as a hue of hope for a new year. Generosity lifts the spirit, and announces the joy of a new year. Seen as a hue that embodies hope and happiness, it is also an antidote to heavy, toned hues. Its generous spirit applies to its many iterations, too. With nuanced changes in the hue, it is suited to everything in home, fashion, cars, or personal electronics. It brings moments of color joy to everything from wood stain, to fashion, to automotive. It offers a new take on red-stained woods, as it casts a deep berry accent to the grain, and will give tabletops, furniture, and cabinetry a new spin on life. Fashion accessories, outerwear, footwear, and knitwear will all embrace this new hue. You can anticipate it to be complemented by navy, petrol, black, taupe, and grey, as well as enlivening forest green and camel. Find it as a catalyst with those colors and in many textures in floor coverings, textiles and leather. 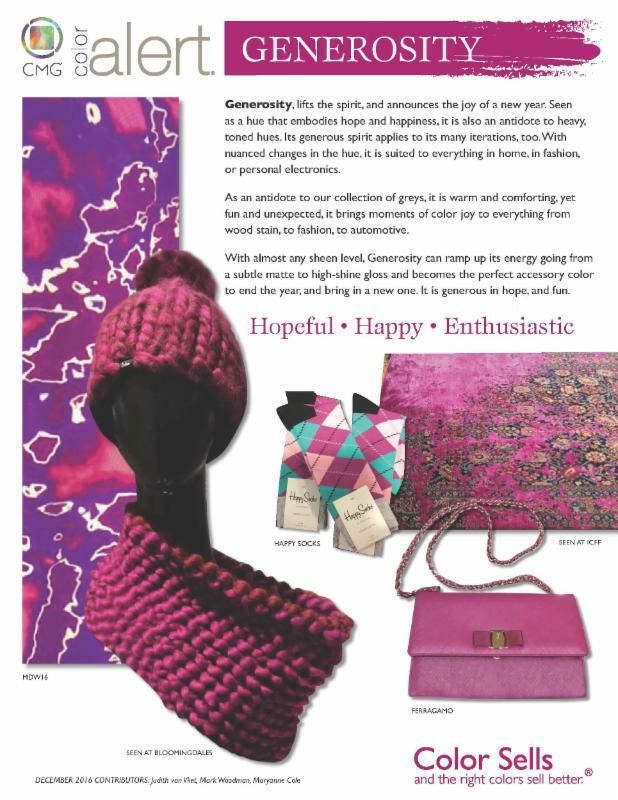 From area rugs, to handbags, Generosity shares its hue while letting neighboring colors shine. At almost any sheen level, Generosity can ramp up its energy going from a subtle matte finish to high-shine gloss and becomes the perfect color to end the year, and bring in a new one. It is generous in hopefulness, and fun.